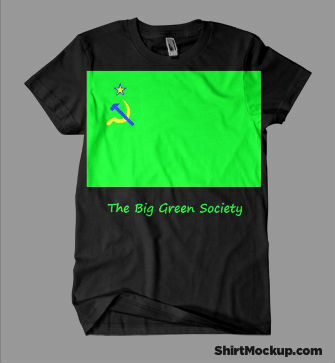 Capitalists@Work: Some more of your T/shirts. Some more of your T/shirts. Superb Green Society effort From Alan, and an excellent bent nine bob note from the biggest Gif on the interweb, Lakelander. The nine bob note is brilliant! If only Sarah could get him to come out of the closet.